Are you someone who usually tries NOT to think about taxes until the beginning of the year, and then starts panicking and scrambling in January? If so, you’re not alone! Most of us do that – or have at some point. If you are new to working for yourself, thinking about self-employment tax can be intimidating the first few years. Afterall, most of us are used to an employer taking care of everything. When starting a business, the last thing on our minds is what we need to do for tax season. Since you are no longer working for an employer, those taxes that you never thought about are now your responsibility. Any profit you make in your microbusiness, or by being self-employed, is now taxable. For the purposes of this post, I am going to talk to those of you who are SOLE PROPRIETORS or a SINGLE-MEMBER LLC. WHO NEEDS TO PAY SELF-EMPLOYMENT TAX? If you have ANY type of business that is not tied to an employer, you will be responsible for reporting that income. How you file those taxes is determined by the structure of your business. Again, for this post, I am focusing on those of us who are sole-proprietors (an enterprise that is owned and run by one natural person and in which there is no legal distinction between the owner and the business entity) and a single-member LLC. If you don’t know which one you are, you are most likely a sole-proprietor. In a nutshell: if you have net earnings of $400 or more, you are required to pay self-employment tax. For example, let’s say you clean houses part-time. At the end of the year, you figure out that you have brought in $6000 from your part-time cleaning. This is your GROSS income. Once you subtract out expenses for mileage, cleaning supplies, business cards, or anything you paid for related to the business – let’s say $4000 in expenses – you are left with a NET INCOME of $2000. This is the amount you will pay tax on. The IRS has an online tax assistant to help determine if you have to pay self-employment tax. The self-employment tax covers the full tax on social security and Medicare. When you were an employee, your employer paid half of that tax for you. But now that you are your own employer, you have to pay both the employee and employer portions of the tax. For 2017, the tax rates are 12.4% for Social Security and 2.9% for Medicare on your NET income. Use Schedule C to figure your net income. Then you will transfer that information to Schedule SE. Ultimately, that will be reported on form 1040 to determine your adjusted gross income. Social Security tax rate is calculated at 92.35% of your net income, while the Medicare tax is calculated on your full net income. You can deduct 1/2 of the Self-Employment tax you pay from your Adjusted Gross Income on form 1040. Additionally, our cleaning person will need to report their $2000 net income on form 1040 to be combined with any other income they or their spouse earned for the year. 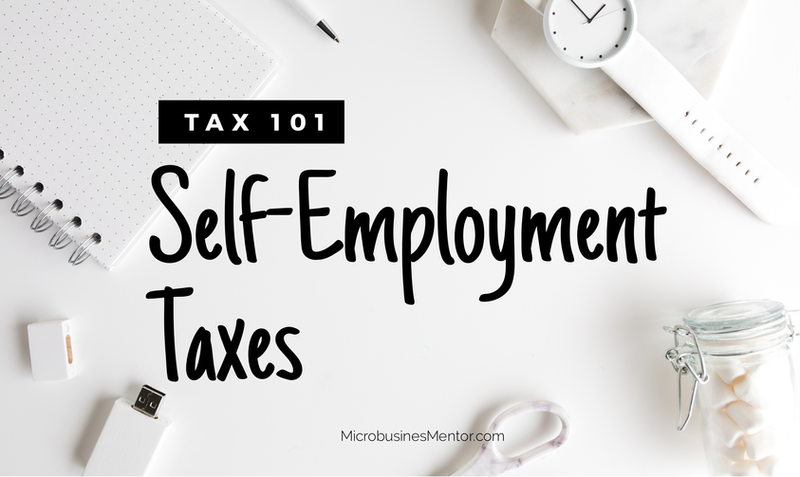 It is not difficult to figure self-employment taxes on your own, especially if you have a smaller income (additionally, there are other tax options for a loss or low-profit year, please see the link above). However, if you have any hesitations, it is worth it to hire a tax professional to do your taxes. TIP: You can expect to pay anywhere from $250-450 on average for tax preparation in the case of a sole-proprietor. If you happen to have an LLC, taxes are different as you have to file a separate return for your LLC. Expect to pay $750 or more for a corporate tax return (in addition to your personal return).